On our last article regarding economical indicators we have discussed the ground basics of this concept and emphasized the importance of understanding it. We also pointed that every good (or aspiring) foreign currency trader should keep a detailed calendar with the release date of each indicator. This will help you track and act upon each of the indicators in a more organized manner. In this article we will review more subtle and indirect uses of economical indicators. A certain understanding of both global and local economics is needed if you want to achieve the best use of the indicators. A trader should know what types of information are specified in each indicator. You need to understand general and primary concepts such as inflation, employment and growth, among others. Unlike most people presume one can learn all this without spending years on an economics degree. A forex trader that follows and acts upon various indicators will learn to see and understand the aspects of each indicator. With time you two will know what side of the economy is represented by each chart and acronym. Also remember that not all of the indicators are equivalent in their affect and importance to the market. Although each indicator serves an important role and has its part, not all indicators are relevant or vital to form a good trading strategy (all of course depends on the state of the economy you are trading in). Foreign currency trading requires a certain feel to psychology and prediction. A trader should be able to know what indicators are anticipated and what will be the potential positions of other traders. 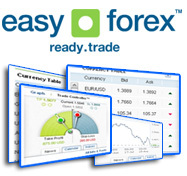 Understand which indicators are significant and expected by traders in each country. If financial growth is a severe problem in a certain country then the GDP or employment stats will create much more volume than inflation data such as PPI. Of course a different country can have the different problems and hence, more weight will be placed on other indicators.